A mold remediation is recommended when there is enough mold damage to be of danger to the people that frequent the property or the propery itself. Mold and mildew only needs three things to grow – oxygen, food, and water. Since oxygen is almost anywhere above sea level and mold eats almost any surface, the secret to mold prevention is moisture control. If a water intrusion of any kind does happen inside of your home or business, it is important that the water dries within 48 hours. This is typically the amount of time that it takes before a contamination problem occur. If it does grow and you need a professional mold remediation company, you can count on us! If your home or business is contaminated, you should get a mold remediation immediately. Even a small amount can be dangerous. A specific danger level has not been set by governments because it’s effects on most people are different. One person may have minor affects, while another person in the same property may have major reactions. So why do we suggest for you to get rid of any amount of mold even though there’s no law to determine a ‘danger’ limit? Well, although the effects on people may vary, long term exposure is likely to cause harm to most people. Some effects may not present themselves for years and can cause doctors to mistake the symptoms as another illness. For example: a person can move into a moldy home and ignore the problem because it doesn’t seem to cause any harm. Years later, this person begins to suffer from memory loss and his doctor mistakes the memory loss as a part of the aging process. As a result, more symptoms begin to reveal themselves since long term exposure weakens the immune system and lungs. Furthermore, he grows very ill and encounters a number of health problems that could affect him for the rest of his life. This is a scenerio that could have been avoided with a simple mold remediation. So to be safe, any time there is active growth, you should consider a mold remediation. Also, keep in mind that there is no such thing as a ‘good’ or a ‘safe’ mold that grows indoors. Mold has the ability to grow almost anywhere in your home or business. It thrives in temperatures that humans are also comfortable in and can eat most of the objects in your home. The only missing ingredient is moisture. Once moisture enters an area and stays for a few days, that area is likely to become contaminated. 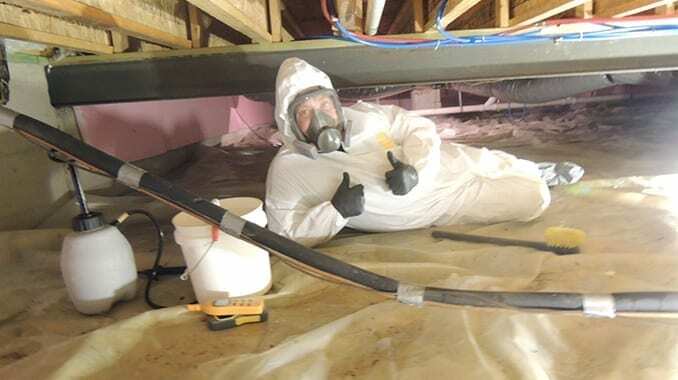 The areas in your home or business where moisture and humidity levels are high includes the crawl space, attic, closets, basement, kitchens and bathrooms. These are areas where you should keep your eye on, yet remember that it could grow in any room of the property. 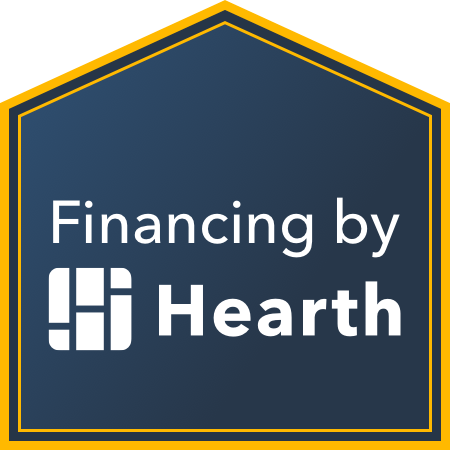 When your home or business becomes contaminated, there are usually two options. These options include hiring experts and doing it yourself. So, how do you decide? The decision comes down to the amount of contamination. If the affected area is 9 square feet or smaller, the EPA states that do-it-yourself methods can be effective; however, we recommend a mold remediation if mold covers more than 9 square feet. Also, you should consider a mold remediation if older people, babies or someone with a weakened immune system are in the property often. We know and understand that if the mold remediation steps are not done properly, then it can return. Our process ensures a proper mold removal. Stop any water leaks and moisture access: We will assess the property to discover how excess moisture has gained access. If we have the ability to correct the issue, we will provide a solution. If we do not have the ability to handle the moisture issue, we will recommend a company that specializes in water services. Prepare the property for remediation: A team experts will arrive at your home or business. They start with the protection of themselves and your property. The team will use HEPA vacuums to sweep furniture and heavy dust areas. Remediation: We apply a fog of MTR94® in each area that needs remediation. The fog of MTR9® maintains during a wipe down of all surfaces. In crawlspaces, we fog the area and apply a more aggressive scrub of joist and rafters. Clearance Test: After treatment, Enzycle Lab will come back to your location and perform an air quality test to ensure a proper remediation. Often times, the effects of contamination does not end after the removal. There are several mold related health problems that could remain after the remediation. We are friends with doctors who focus on mold illnesses and these relationships help us make the best recommendation for customers with a one of these illnesses. Many companies provide mold remediation services as a side job, the American Mold Experts team eat, sleep and breathe it. Our team is certified by the Professional Mold Inspection Institute to remediate residential and commercial properties. To make sure that our team remain experts, we continuously educate our team on the industry, new technologies, strategies, etc. Remediation strategies often contain chemicals and methods that can be harmful to the health of humans and pets. 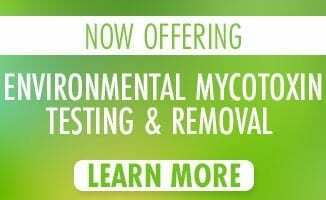 American Mold Experts uses MTR94®, an enzyme that kills remediates without destructing your home. MTR94® is 100% organic and is a “green product” because it is safe for humans, animals and the environment. After a mold remediation, a third party lab will come out for a post-remediation test. If this test fails, you will receive a refund. 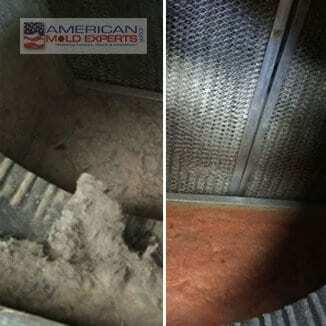 As a professional mold removal company, American Mold Experts would advise anyone that has a known contamination problem in their home or business to take care of it as soon as possible. Mold carries many dangers that could cause health problems ranging from nausea to death. Infants, older adults, pregnant women and anyone with a weak immune system have a much higher risk at suffering from an illness.